Venice: 700+ ft of deep water dockage. Secluded in a park-like environment within the Las Olas Isles, patrolled by private security, surrounded by water on three sides. Bontona Peninsula estate offers its new owners limitless views of the New River and the Intracoastal Waterway from every room. Within few minutes of the Atlantic Ocean. Features an enormous master bedroom with his and hers walk-in closets, and with spa-like bathrooms, a morning bar, a huge terrace, dining and magnificent views. Featuring a new concept of interior design and architecture which outlines the essentials of a classic and timeless contemporary style. Every room has been carefully designed using some of the highest quality materials and finishes available. Furnished and ready to move in. Sunrise: Opulent & regal point lot estate w/437' of deep water frontage & 170'+ full service, protected mega yacht dockage. Quick & easy ocean access. This is truly one of the most spectacular properties in all of South Florida w/astounding views. You are welcomed by rolling lawns & huge shade trees which grace this extraordinary property as you drive thru the gate to the porte-cochere. Fully equipped chef's kitchen, formal dining room, stately master suite w/full marble bath. Exquisite details and the finest finishes include magnificent limestone floors, beamed ceilings, spectacular wine cellar, elevator & fireplace. Located in the historic Rio Vista neighborhood, conveniently located to downtown Fort Lauderdale, shopping, fine dining, nightlife, air & sea ports & major highways. Venice: 435 ft of deep water dockage. Secluded in a park-like environment within Las Olas Isles, patrolled by private security, surrounded by water on three sides. Isle of Capri Peninsula estate offers its new owners limitless views of the New River and the Intracoastal waterway from every room. Within few minutes of the Atlantic Ocean. Features an enormous master bedroom with his and hers walk-in closets, and with spa-like bathrooms, morning bar, a hug terrace, dining and magnificent views. 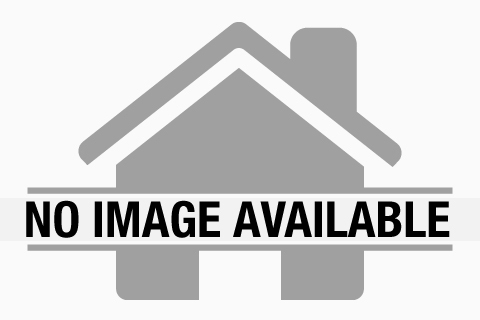 Includes a separate 2800 square feet guest house with two car garage. Harbor Beach: One of a kind point lot estate. 450' waterfront in Harbor Beach accommodates a 250'+ Mega Yacht w/ additional 200' dockage & uncompromised views! Epi dock w/ unique radius,impact glass,elevator,theater rm.,large office suite,gourmet kitchen,3rd level gym,multiple entertainment areas in&out. Garages can be converted to 8 cars. Full house generator.Total Smart Home.Property can be dredged to 14.5' at low tide&completed w/in 45 days of deposit. Addt'l buildable lot can build a 24-36 car garage w/guest house. Current 3 car garage will be converted to a 20 car garage at Seller's expense for a Full List Price contract/offer. Coral Isles: The ultimate yachting lifestyle estate! Brand new and impeccably designed point lot home located at the convergence of the New River and the Intracoastal Waterway. This incomparable property boasts 277' of total water frontage, quick and easy ocean access and breathtaking wide water views. IMPORTANT NOTE: This property is available for sale at any time during construction for an "as-is" sale price based on that phase of construction and not on any work contracted after closing to complete the project. Outstanding south Las Olas Isles location. Hillsboro Mile: Exciting and fresh Modern Architecture of the latest quality & design is planned for this prime Hillsboro Mile location! Leading Architect George Brewer teams with prominent Hillsboro Mile Builder Bomar development breaking ground in 2019. Renderings, floorplans & further specifications will follow. Maximization of the incredible ocean & intracoastal views from this high elevation residence is guaranteed along with multiple loggias & balconies! Nurmi Isles Island: Point! 258' of wf for mega-Yacht & stunning 16,500 Indoor and Outdoor living space. Modern transitional 3-story. State of the art, energy efficient construction & home automation. Elevator, generator. Deep & wide waterways on Rio Barcelona. Expansive water views + views of downtown & beach skylines from third story penthouse entertainment level. Parking & storage for 8 cars. Resort style pool & outside entertainment areas. One of Las Olas best streets with underground utilities. Walk to shops & beach. Quick ocean access. Isla Bahia: Offering all the desirable attributes of a point Estate! Harbor Beach's very latest design & construction! Sophisticated transitional island inspirations by Max Strang & Bomar Builders. Offering 189 & 8-9 ft+/- deepwater dockage & depths for 130ft+/or multiple yachts. Incredible open Lake Sylvan views & breezes! Surrounded by Estate residences this expansive property (approx 20,000/1.5 lots) allows a beautiful angle with South East exposure maximizing views & dockage..Extraordinary floorplan satisfies today's luxurious waterfront living priorities highly functional & open entertaining areas surround large feature custom pool & flow to outdoor spaces. Desirable first level VIP Guest Suite & extraordinary Master Suite & second level Club Room. Now is your opportunity to personally customize! 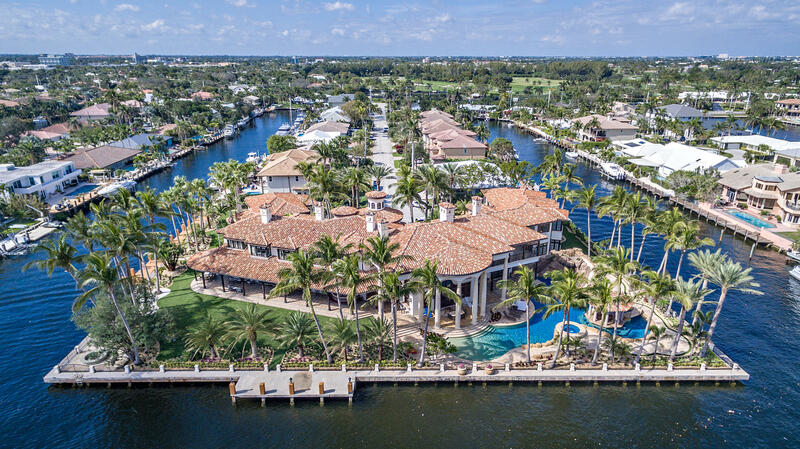 Coral Isles: Exquisite gated southeast point lot estate w/mega yacht dockage, 425' of deep water frontage & unsurpassed wide water views! Renovated in 2011, this is one of the most gorgeous properties in South Florida. Impeccable craftsmanship throughout, features include Venetian plaster walls, limestone & Siberian oak floors, beamed & coffered ceilings, fully equipped chef's kitchen, 2 fireplaces, wine cellar & gym. Crestron smart home, security system, impact doors & windows, full house generator. Lush landscaping and pristinely manicured grounds. Prime south Las Olas Isles location, just minutes to the inlet. Del Lago Isle: Most incredible views & one of the largest point Estates in the city! 200 ft of Estelle River (400 total) accommodates large/multi yacht dockage without obstructing views. Built by Miller Estate Homes, the residence has an inviting island ambiance & superb entertaining areas. All modern luxury amenities, impact windows & doors + generator. Majority of expansive rooms feature waterfront views. Impeccably maintained. Vaulted & higher ceilings. Extensive loggias & balconies. Resort style grounds. Harbor Beach: Modern 3-story masterpiece w/100' of deep water frontage on an extremely wide canal, just moments to the Intracoastal & ocean. Chef's kitchen with top-of-the-line appliances & water views. The finest high-end finishes throughout, elevator, media room, gym, & 3rd floor entertainment space w/wet bar. Split bedroom plan ~ Immense master suite w/sitting area, water views & luxurious master bath. Private Harbor Beach Surf Club w/300' of beachfront & private marina membership available.